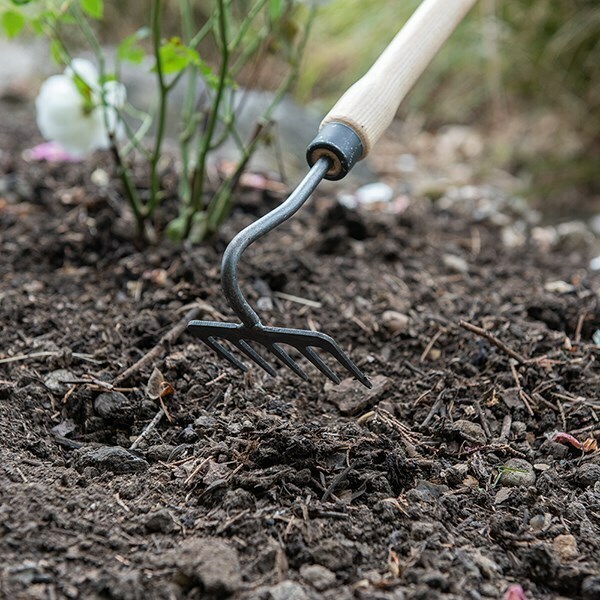 Built to last from forged carbon steel and solid ash, this swan-necked mini rake is perfect for quick and easy aerating, weeding and breaking up topsoil in beds and borders. With a longer handle than a regular hand tool, it’s easier to access hard to reach areas, and bending is kept to a minimum - so it’s great for anyone with back problems. 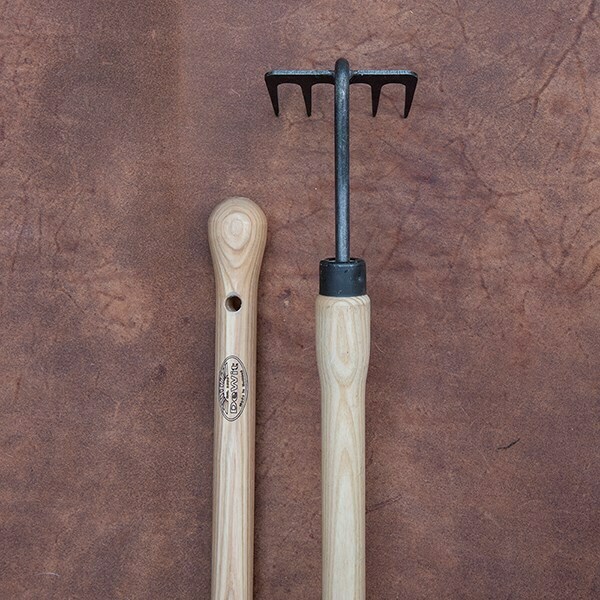 The rake is long enough for comfortable two-handed use if you need to exert a little more force - the 'bulbs' at each end of the handle make it easy to grip and prevent your hands from slipping.